"The #1 Ophthalmic Appraisal & Management Firm in North America"
Looking for experience with Medical Practice Appraisals? Don’t limit yourself to a local appraiser; get only the best for your practice! John Gay has personally conducted over 1,900 practice appraisals for buy – sell and estate purposes, assisted in the buying and/or selling of over 1,400 ophthalmic practices, and he has helped to build over 368 million-dollar optometric practices to date nationwide. John Gay is also recognized as an Expert Witness with regard to representing appraisals of practices. In our opinion, the best way to approach this challenge is to be clear on your desired goals and outcome; be as specific as possible. Once you are clear on your desired outcome, selecting a consultant becomes easier. Our experience finds that the most successful practices use outside consultants on a regular basis; but the struggling practices, which would probably benefit the most, seldom do. We are known to double or triple the revenue of a doctors’ practice within eighteen (18) to thirty three (33) months from the date practice management procedures are implemented. As a team of specialists from various areas of expertise, we provide comprehensive, competent and effective service to all aspects of a successful medical practice. 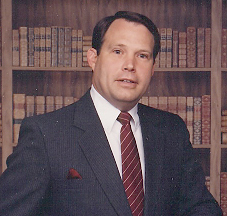 John W. Gay II, LLD, MCEP, CIS, FIBA, is a graduate of Western Illinois University and holds a Doctorate of Laws and Letters, is a Master Certified Estate Planner, a Registered Financial Consultant, a Certified Investment Specialist, a Registered Financial Planner; and, he also is an economist, developer, author, lecturer, lobbyist and practice management consultant from Denver, Colorado.